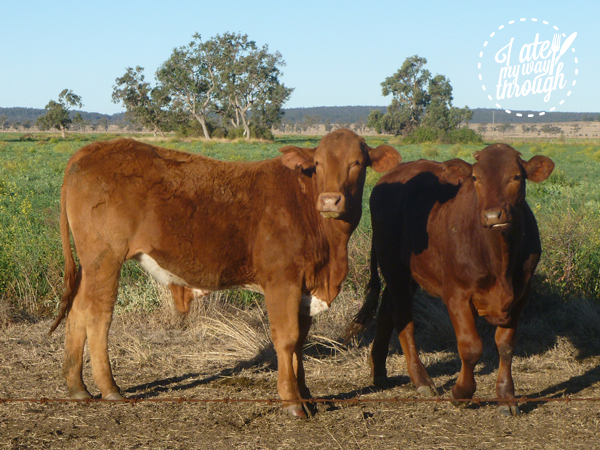 Home Australia / QLD Paddock To Plate Tour: How Well Do You Know Your Steak? Paddock To Plate Tour: How Well Do You Know Your Steak? There are lots of innuendos surrounding the production of meat, particularly opinions stemming on meat quality and animal welfare being determined by whether or not the cattle is grass or grain fed. Not many of us think about what this means as we scan the menu; I know I didn’t, I mostly assumed that grass fed was always the superior option. Now however, I realise the naivety in that statement. As most of us know, Australia is a land of climatic extremes that bring numerous challenges to our farmers. These have left to inventions and methods of production that have often put Australia at the forefront of the world agriculture development. Target 100 is an initiative led by Australian cattle and sheep farmers across Australia along with industry representative bodies. The initiative reflects our cattle and sheep farmers’ commitment to advance sustainable practices into the future; from an animal welfare, environmental, social and economic perspective. Farmers are doing simple things to improve their environmental sustainability, which I experienced firsthand during my visit to Kerwee Feedlot and Samarai Farm, two farms that are committed to best practices and leading the way for a sustainable farming future. How they are doing this would require extensive pages of explaining, so I will keep it short, with a few examples of their adopted sustainable farming methods. Many people are not aware of the farm to feedlot process. In fact, did you know that feedlot cattle spend around 85-90% of their lives in the pasture? The reason cattle are transferred to feedlots can be a due to combining factors of lack of pasture quality due to drought, making it difficult to get the cattle to a marketable weight as well as a high demand from both export and domestic market seeking grain fed for consistency in quantity and quality. The cattle are transferred from pasture to feedlot via truck. The cattle then go through an induction phase which involves key details being taken into consideration such a breed, age and weight, from here the cattle is identified according to similar attributes and allocated into the yards accordingly. 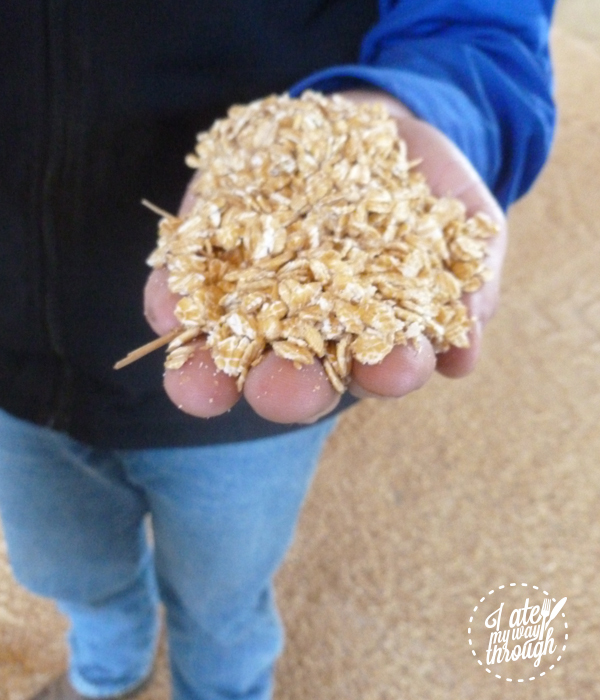 Many people have a bias view towards cattle in feedlots, I myself was curious about the taste of the grain, so naturally I tried it and it reminded me of the oats I eat for breakfast, which is good enough for me. Feedlot cattle diets are formulated by nutritionist and comprise minerals, vitamins and protein. The grain based diet and cattle processing in the yards has many environmental benefits that people are not aware of, myself included. For instance the grain enables cattle to reach market weight quickly, producing less emissions over a lifetime. 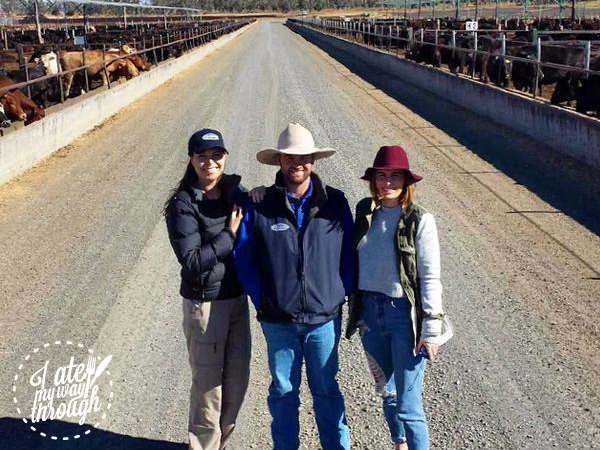 Kerwee Feedlot is a great example of a feedlot that aims to produce high quality cattle in a low stress environment whilst maintaining a low footprint. Kerwee is located in Darling Downs, South-east Queensland, owned by the Hart family. 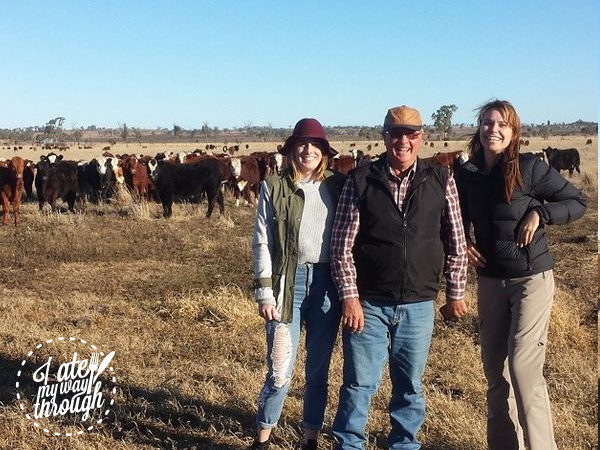 Kerwee Feedlot supplies the beef produce onto the Hart family stockyard brand, supplying high quality Angus and Wagyu beef to consumers around the world. Kerwee feedlot aim to produce a stress free environment, evident through their new cattle handling facility, which was opened by Temple Grandin herself. The curved chute handle cattle more efficiently because it takes advantage of the cattle’s natural movement and behaviour. The modern facility ensures that cattle is handled in a way to create minimum stress which can lead the end product being dark, tough and dry. This is just one example of how Brad and the entire Kerwee group, like many others, are dedicated to ensure cattle are handled with the utmost care and respect. The second farm I was fortunate to visit was Samarai, a grass fed cattle farm, owned and operated by the delightful Sid and Merliyln Plant, along with their daughter Tanya. Sid uses his extensive knowledge on climate and applies it to the day-to-day running of the farm. The Plant family do not use any chemicals in their farming due to Merilyns sensitivity to chemicals, alongside the families passion to ensure healthy and stress free cattle. Sid explains that they adopt alternative methods such as encouraging pasture diversity by planting legumes to help naturally boost soil nitrogen. The Plants also use a system called cell grazing which refers to lots of smaller paddocks. This allows the Plant family to rotate their cattle to greener pasture on a regular basis. 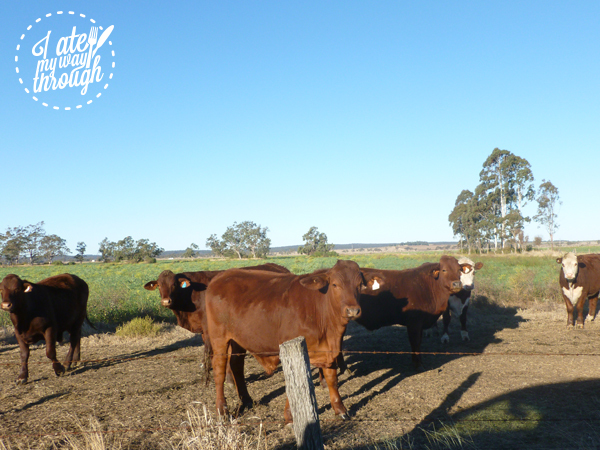 Their use of stocking intensity, together with the longer rest periods, has helped them to achieve better pasture health, ground cover and cattle performance. After visiting these farms and learning about how farmers are adopting sustainable practices, I found myself with the bulging question of how this all impacts the end product available on the market? What is the main differences between Grain and Grass fed cattle? Grass fed, means that the animal has spent their entire life grazing pastures, this however, does not mean that they haven’t been supplementary fed with hay or silage, due to seasonal conditions. The animal is still in paddock and has not been moved to an accredited feedlot so they are classed a grass fed on the market. An amazing blend of texture and flavour is produced from grass fed cattle. Although grass fed has more taste, it is typically tougher and can vary in taste, due to the flavor of the grass coming through the steak. Here is a perfect example of “you are what you eat”. This leads to people questioning the consistency of grass-fed cattle which brings me to grain-fed cattle. Grain fed cattle must be finished in an accredited feedlot for a required number of days. The number of days is determined by the type of animal, for example, Wagyu is 300+ days. I would like to point out that this number does not represent the animal’s life span as most grain-fed animals spend majority of their life grazing in paddocks and are finished in a feedlot. Grain-fed has typically been popular overseas but recently has seen to an increased domestic demand. This is due to many consumers seeking a consistency; grain finished is believed to have improved quality and marbling leading to increased tenderness. Many chefs are opting for this as is allows them to have guaranteed consistency and produce their own flavours. Now, I can talk the talk but I was about to discover if I could walk the walk at Pony dining, the last experience on the Target 100 tour. When we were presented with the menu, I put myself to the test and was able to put the paddock experience back onto the plate. We were treated to a meat lover’s feast of steaks, followed by more steaks. There was the 500g Rib Eye on the Bone; 250g Kobe Cuisine Sirloin, 375 days grain fed; and 350g, pasture fed 150 days, grain finished. Each cut had an intense aromatic flavor from the charcoal on the outside and a tender inside that melted though my teeth with each bite. 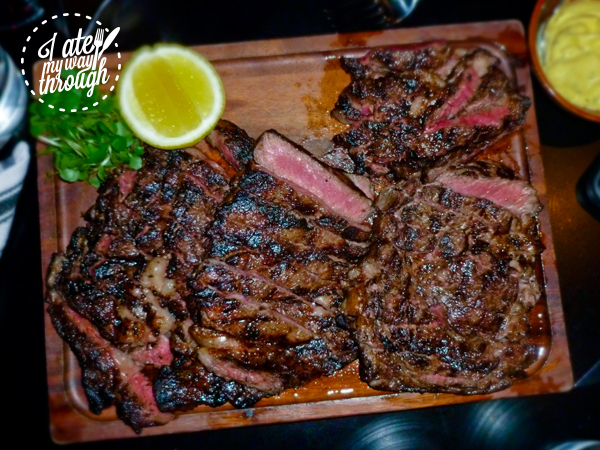 Each meat naturally has its own character but the rib eye on the bone was the stand-out as it was juicy and well-marbled. We need to think beyond the cut of meat; what we should be looking at, is the company that produced this meat and how it is sold, although it is not quite that simple. The National Livestock Identification System ensure all beef produced for consumption in Australia can be traced from property of birth to slaughter, but once the animal is packaged for sale on the supermarket, the flow of information stops and in most cases, is not passed onto the consumer. However, we can still be smarter about our decisions at the purchase point. Do your research and become familiar with the meats origins. Understand labeling on your packages and learn the terminology, then decide what is actually important. You should also consider the following questions at the purchase point: Do they use unnecessary chemicals? Is the produce over-packaged? Shop smarter and plan your meals, so you don’t over buy. The force behind target 100, aim to deliver sustainable cattle and sheep farming by 2020 and you can help achieve this by eating with more understanding, learning where your food comes from and by supporting the companies that are doing the right thing. Together, we can all work towards achieving a more sustainable future.